Bright steely pink color. Toasty, fruity aromas and flavors of fig-berry tart and lemon scone with a silky, vibrant, fruity light-to-medium body and a graceful, refreshing, medium-length finish that shows impressions of pomegranate, lime, melon, and green apple with fine, fruit tannins and no oak flavor. A crisp and quenching rose sparkler that will be very versatile. Bottom Line: A crisp and quenching rose sparkler that will be very versatile. 86 • Aeris 2015 Pinot Noir, Oregon 13.6% (USA) $19.99. 84 • Aeris 2015 Pinot Noir, Oregon 13.6% (USA) $17.00. 88 • Aficionado 2015 Shiraz, McLaren Vale 14% (Australia) $15.00. 93 • Aficionado 2015 Cabernet Sauvignon, McLaren Vale 14% (Australia) $15.00. 86 • Aficionado 2015 Red Blend, McLaren Vale 13.5% (Australia) $15.00. 85 • Apex 2014 Late Harvest, Semillon, Columbia Valley 11.2% (USA) $11.00. 85 • B. Lovely 2014 Late Harvest, Riesling, Washington 9.2% (USA) $9.00. 92 • Cloudveil 2014 Pinot Noir, Oregon 13.7% (USA) $15.00. 88 • Cluster 2015 Dark Cluster Red Blend, Washington 14.2% (USA) $9.99. 88 • Cluster 2015 Riesling, Washington 12% (USA) $9.99. 84 • Cluster 2017 Riesling, Washington 11.5% (USA) $7.99. 88 • Cluster 2016 Dark Red Blend, Washington 13.8% (USA) $9.99. 88 • Crystal Creek 2015 Riesling, Columbia Valley 12.4% (USA) $7.99. 86 • Crystal Creek 2015 Cabernet Sauvignon, Columbia Valley 13.7% (USA) $7.99. 84 • David James 2014 Cabernet Sauvignon, Columbia Valley 13.5% (USA) $14.99. 87 • David James 2016 Rosé, Columbia Valley 13.4% (USA) $12.99. 82 • David James 2016 Sauvignon Blanc, Columbia Valley 12.8% (USA) $12.99. 89 • Disastrous by Nature 2016 Red Blend, Columbia Valley 13.6% (USA) $12.00. 86 • Disastrous by Nature 2017 Rosé, Columbia Valley 12.8% (USA) $12.00. 91 • Havelock 2015 Sauvignon Blanc, Marlborough 13% (New Zealand) $12.00. 88 • Havelock 2016 Sauvignon Blanc, Marlborough 13% (New Zealand) $14.99. 83 • Jacqueline Leonne NV Brut, American 12.5% (USA) $15.00. 87 • Jacqueline Leonne NV Rosé, New Mexico 12.5% (USA) $15.00. 86 • La Bouline 2016 Rosé, France 12% (France) $12.99. 85 • Larkspur 2014 Pinot Noir, Oregon 12.5% (USA) $17.00. 86 • Larkspur 2014 Pinot Noir, Oregon 13.8% (USA) $16.99. 86 • Lunar Harvest 2015 Chardonnay, Columbia Valley 13.9% (USA) $8.99. 87 • Lunar Harvest 2015 Merlot, Columbia Valley 14% (USA) $8.99. 87 • Lunar Harvest 2015 Riesling, Columbia Valley 13.1% (USA) $7.99. 88 • Lunar Harvest 2016 Merlot, Columbia Valley 13.7% (USA) $9.00. 87 • Lunar Harvest 2016 Chardonnay, Columbia Valley 13% (USA) $9.00. 88 • Lunar Harvest 2016 Riesling, Columbia Valley 11.5% (USA) $8.00. 88 • Lunar Harvest 2016 Reserve, Pinot Noir, Oregon 14.2% (USA) $11.00. 89 • Maison de Joie NV Methode Champenoise Brut, American 12% (USA) $12.99. 83 • Moonbeam 2015 Sweet, Riesling, Washington 10% (USA) $9.00. 85 • MWC 2015 Rosé, Columbia Valley 13% (USA) $10.00. 86 • MWC 2013 Cabernet Sauvignon, Columbia Valley 13.6% (USA) $12.99. 87 • MWC 2014 Pinot Gris, Washington 13.6% (USA) $10.99. 89 • MWC 2013 Pinot Noir, California 13.7% (USA) $12.99. 87 • MWC 2014 Riesling, Washington 12.3% (USA) $10.99. 85 • MWC 2015 Rose, Columbia Valley 13% (USA) $10.99. 87 • MWC 2015 Cabernet Sauvignon, Columbia Valley 13.3% (USA) $16.99. 88 • MWC 2016 Pinot Gris, Columbia Valley 13.4% (USA) $13.99. 84 • MWC 2015 Rosé, Columbia Valley 13.4% (USA) $13.99. 88 • Perimeter 2014 Cabernet Sauvignon, California 13.5% (USA) $9.99. 84 • Perimeter 2014 Red Blend, Washington 13.5% (USA) $9.99. 92 • Perimeter 2014 "Black" Dark Red Blend, California 12.8% (USA) $13.99. 90 • Perimeter 2015 Cabernet Sauvignon, California 13.5% (USA) $12.99. 88 • Perimeter 2015 Chardonnay, California 13.6% (USA) $12.99. 85 • Perimeter 2015 Black Dark Red Blend, California 13.5% (USA) $12.99. 88 • Perimeter 2014 Merlot, Washington 14.1% (USA) $12.99. 82 • Perimeter 2015 Red Blend, Washington 13.9% (USA) $12.99. 87 • Perimeter 2015 Riesling, Washington 11% (USA) $10.99. 84 • Perimeter 2016 Merlot, Washington 13.7% (USA) $9.99. 90 • Perimeter 2016 Cabernet Sauvignon, California 13% (USA) $9.99. 87 • Perimeter 2015 Chardonnay, California 13.6% (USA) $9.99. 86 • Perimeter 2015 Red Blend, Washington 13.9% (USA) $9.99. 86 • Perimeter 2016 Black Dark Red Blend, California 13.5% (USA) $9.99. 89 • Perimeter 2017 Riesling, Washington 11.7% (USA) $7.99. 85 • Red Decadence NV Chocolate Wine, American 12.5% (USA) $11.00. 87 • Red Impulse 2015 Cabernet Sauvignon, Columbia Valley 13.3% (USA) $9.99. 90 • Red Impulse 2015 Red Blend, Columbia Valley 14.3% (USA) $9.99. 83 • Red Impulse 2015 Dark Red Blend, Columbia Valley 13.9% (USA) $9.99. 88 • The Guide 2014 Pinot Noir, Oregon 13.7% (USA) $16.99. 86 • Topsail 2014 Pinot Gris, Yakima Valley 13% (USA) $9.00. 86 • Topsail 2014 Syrah, Columbia Valley 13.5% (USA) $15.00. 88 • Wildhaven 2014 Reserve, Cabernet Sauvignon, Horse Heaven Hills 14.6% (USA) $19.99. 89 • Wildhaven 2014 Reserve, Merlot, Horse Heaven Hills 13.9% (USA) $19.99. 85 • Wildhaven 2014 Pinot Gris, Columbia Valley 13% (USA) $12.49. 90 • Wildhaven 2014 "Blazing" Red Blend, Columbia Valley 13.8% (USA) $12.49. Although Rosé Champagne accounts for little more than 10% of overall Champagne production, it is arguably the trendiest style of Champagne. While a definition of Rosé Champagne (all are made in a Brut style with lower dosage) is difficult, what every rosé Champagne has in common is its color, ranging from pale salmon and copper to bright pink. Rosé Champagnes are made by one of two processes: either assemblage, where still red wine is added to the Champagne or by the saignée (literally “bleeding”) where the color of the Champagne is derived from skin contact. 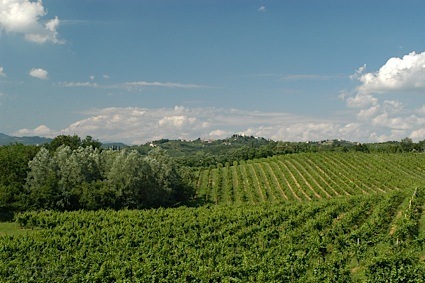 Rosés can be made from 100% red grapes –Pinot Noir and/or Pinot Meunier or can even be primarily Chardonnay; thus there are many different styles. As red grapes add more weight to the wine, rosé Champagnes are better suited to pairing with meat and game. 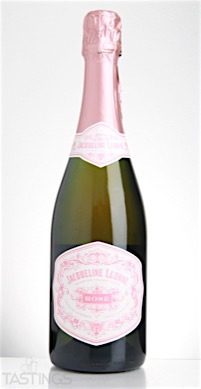 Jacqueline Leonne NV Rosé, New Mexico rating was calculated by tastings.com to be 87 points out of 100 on 7/13/2016. Please note that MSRP may have changed since the date of our review.